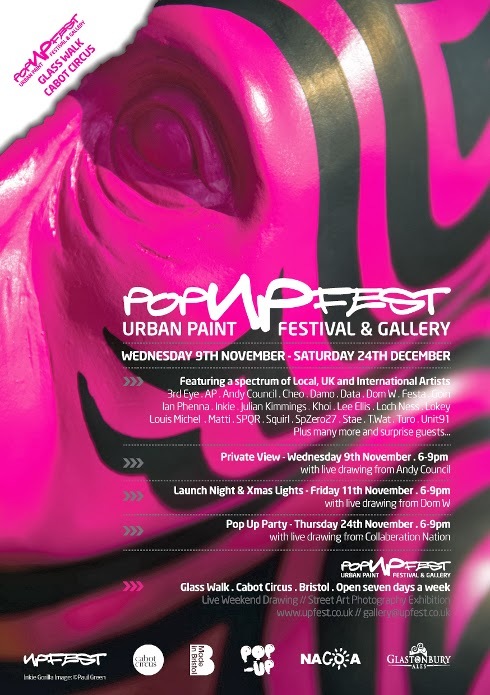 popUPfest, part of Pop Up Bristol, shop independant this christmas! Includes - Bristol Street Art Photogrpahy Exhibition from local photographer Paul Green, prints of photographs on sale with all profits going to NACOA, National Association for Children of Alcoholics. with Live drawing from Andy Council & Cheo WOW Gorilla on Display!